Welcome to the SiteOrigin Unwind theme documentation. 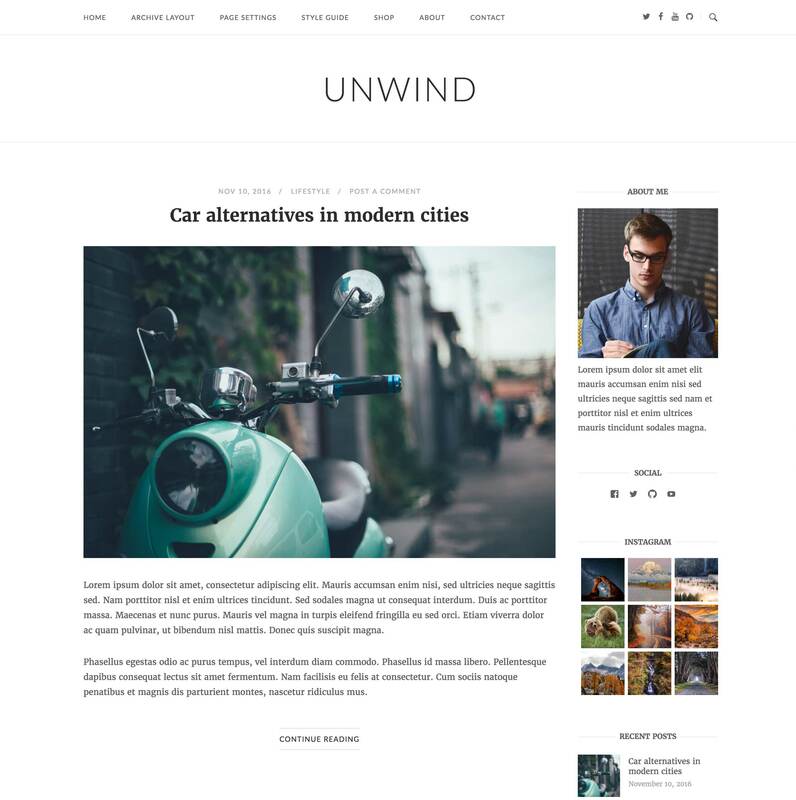 Here we’ll cover the wide range of layout options and settings that Unwind has to offer. If you’re new to WordPress, you might want to quickly brush up on some of the basics that’ll apply to any theme you choose to use. Unwind works best with our Page Builder and Widgets Bundle plugins, if this is the first time you’re going to be using those, please, check out their documentation and instruction videos via the above links.